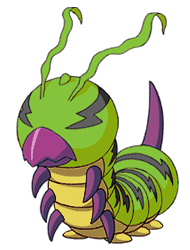 Digimon that is a larva type like Kunemon, he has deadly poison in his body. It easy for him to evolve into a strong poisonous Champion leveled Digimon. 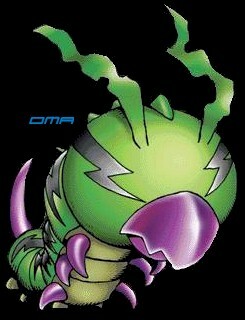 In order to solve the mystery of insect type Digimon, research is furthered on him.